There is lots of hype around Dracula's castle (i.e. Bran castle), however it turned out to be a huge disappointment. It also is much in need of a new business plan or marketing campaign. Background: The castle was built in medieval time (1377) as a fortress to defend the Transylvanian valley from the Ottoman Empire. It was built in the traditional Transylvanian style, which is much simplier than the well-known medieval architecture of W. Europe. In later years, the parts of the royal family spent summers there. Vlad Tepes (i.e. Vlad the Impaler or Dracula) never actually lived in the castle. Nowadays: The castle is an imposing site from the outside. It's situated on a piece of rock on top of a hill. Inside it is quite a disappointment. The rooms are almost bare, with the exception of a 600 year old bed and matching cupboards. There are only a few placards telling of the castle's history. 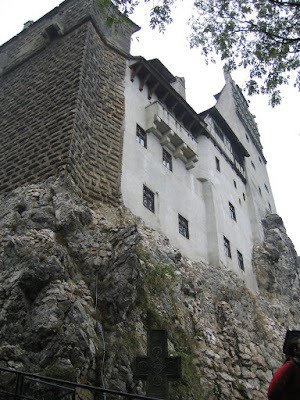 The legend of Dracula (the most famous aspect of the castle) is only mentioned in 1 room. 1. (3rd place option) Change the marketing to manage (lower) expectations of tourists. State that the castle has little tie-in to Dracula. Dracula's castle website is very misleading. 2. (2nd place option) Change the marketing to manage expectations. 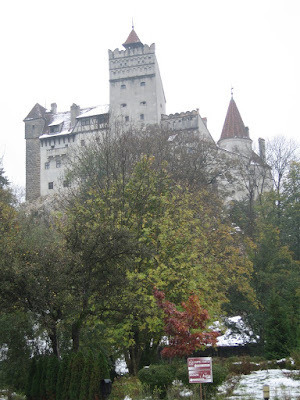 Add tour guides to the castle to explain the history of the Transylvania and the castle. Include more furniture and "period pieces" in all the rooms, which should represent how life in the castle was lived. 3. (1st place option) Increase the Dracula image at the castle. Include tidbits from the book and life of Vlad the Impaler in all rooms. Include aspects about the life of peasants at this time. Bring in furniture to showcase what the castle would have looked like if the Dracula story was true. At the same time, redesign the town to make it more "dracula themed" and tourist friendly (currently, the only "Dracula-friendly" part of the town was a bar offering a haunted house). There are wonderful hiking trails around the castle - these should also be displayed. Lastly, the castle should have Halloween activities happening everyday in October. Neuschwanstein and Sleepy Hollow are examples of towns/castles who have done a wonderful job re-creating themselves to become a top tourist destination.